Sign-up and receive Property Email Alerts of Residential New Developments in Beau Champ, Beau Champ. Nestled between mountains and an immaculate eastern coastline, a splendid view and easy access to Ile aux Cerfs and lush greeneries, it is difficult to fathom that such beauty can actually exist. 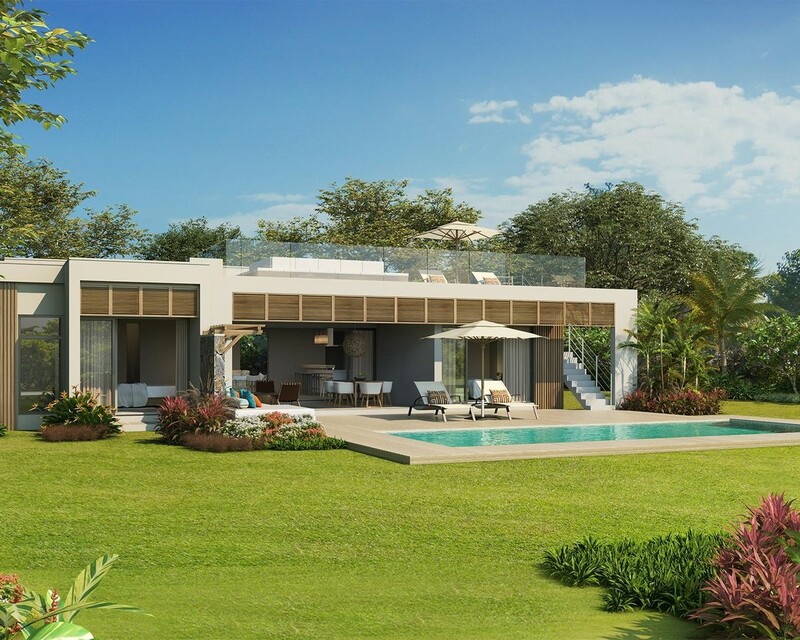 Anahita Mauritius is an estate where the residential development offers ready built luxury villas, private suites, two prestigious resorts and two unique 18-hole golf courses. Anahita Mauritius proposes an exclusive selection of luxury villas, apartments and land for sale under the IRS scheme. Enjoy its Ernie Els signature Golf Course. Anahita The Resort is impressively spread over 213 acres of tropical lush gardens and is one of the most attractive natural sites in Mauritius. Within the reach of the crystal clear water of the Indian Ocean, the resort is a blend of luxury and quiet exuberance. A wide range of personalised services is offered to our clients at the resort for an ultimate experience.